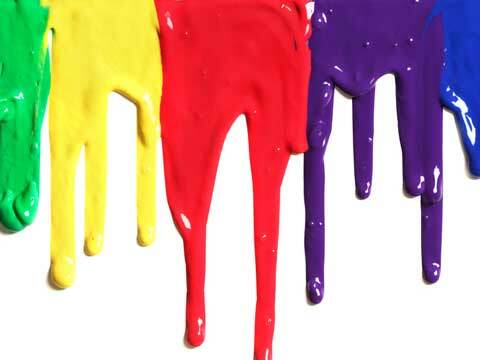 Indian paint industry is expected to surge from Rs. 40,600 crore to about Rs. 62,000 crore by 2016.It is likely to witness a breathtaking double-digit compound annual growth rate (CAGR) of about 20%, as per industry body ASSOCHAM. According to a recent report by ASSOCHAM on ‘Indian paint Industry: 2014’ reveals that India is the second-largest consumer of paint in Asia. Top players include Asian Paints, Kansai Nerolac Paints, Berger Paints, AkzoNobel, Nippon Paints and Shalimar Paints, adds the report. “The Indian paint industry has seen a gradual shift in the preferences of people from the traditional white wash to higher quality paints like emulsions and enamel paints”, said Mr. D S Rawat, Secretary General ASSOCHAM. As per the study, the rural market has grown at a rate of around 20% a year (in financial year 2014). Increase in sales outside metros, as rural India's incremental consumption expenditure is witnessing a handsome growth. The rural sector has a major share of the decorative paints segment. Thus, any benefit to the rural sector for improving the dispensable income is directly co-related to the growth of the paint industry. Besides, decorative paints are marketing savvy products backed by large advertisement campaigns and dealership networks. In FY14, the paint industry stood at Rs 40,600 crore with per capita consumption increasing to over 4 kgs, out of which the decorative segment contributed nearly 73 per cent at Rs 29,638 crore, while the remaining Rs 10,962 crore was contributed by the industrial segment, adds the paper. “Demands for decorative paints arise from household paintings, architectural and other display products. The demand for paint increases during festive season like Dusherra, Diwali, Onam, Christmas /New Year, as compared to other periods,” added Rawat. The major boost to the growth in Indian paint market has been provided by the decorative paint segment, which is anticipated to grow at a CAGR of more than 18% during the period 2014-15. The decorative paint market has been further segmented into emulsions, enamel, distemper and cement paints. Similarly, the industrial paint market is also segmented into automotive coating, high performance coating, powder coating and coil coating, adds the paper. Some of the major reasons for the rise in the paint industry are awareness about environment and increases in disposable income are leading to demand for premium paints. The rising income levels and exposure to global trends have made consumers very aspiring and also become health conscious and using environmental friendly products. The unorganised sector controls around 35% of the paint market, with the organised sector accounting for the balance. In the unorganised segment, there are about 2,500 units having small and medium sized paint manufacturing plants. Top organised players include Asian Paints, Kansai Nerolac, Berger Paints and ICI.